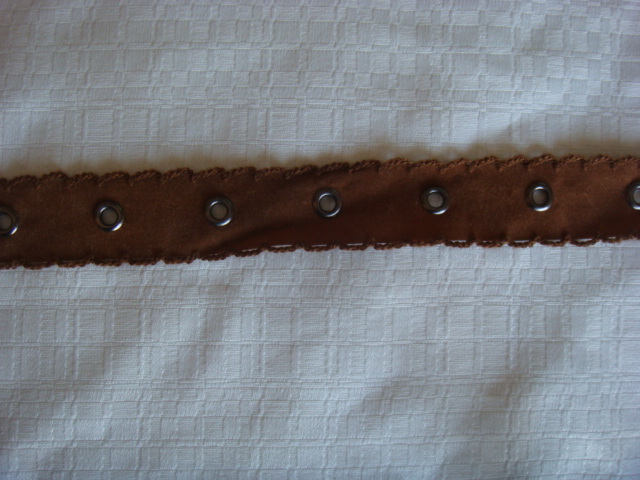 This trim is 1 yard of medium brown faux suede with grommet. It is double scalloped with tread on the edges. This trim is 1" wide. This trim will enhance any outfit or project.